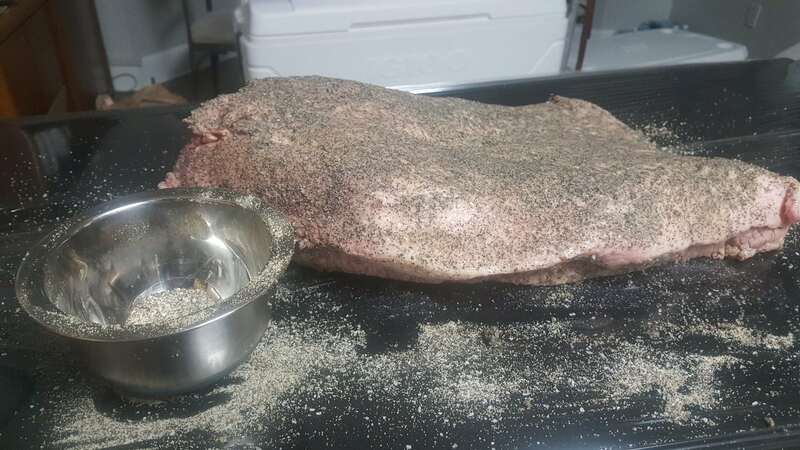 I took some pictures of my process for putting the rub on my briskets. 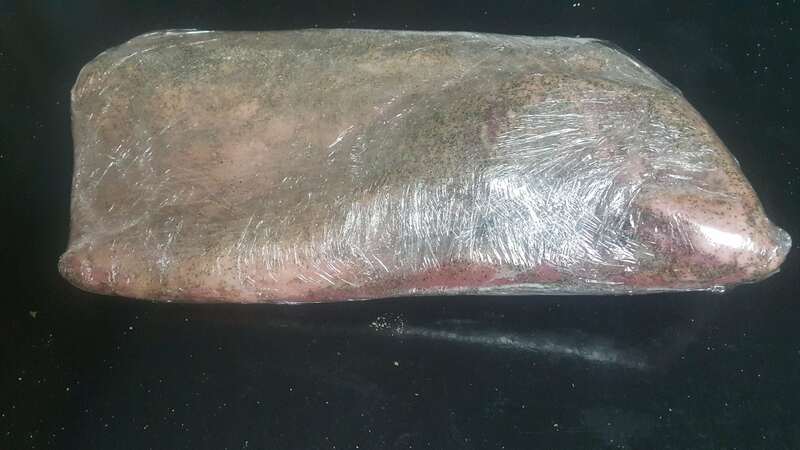 I’m going to barbecue 10 briskets in my smoker. 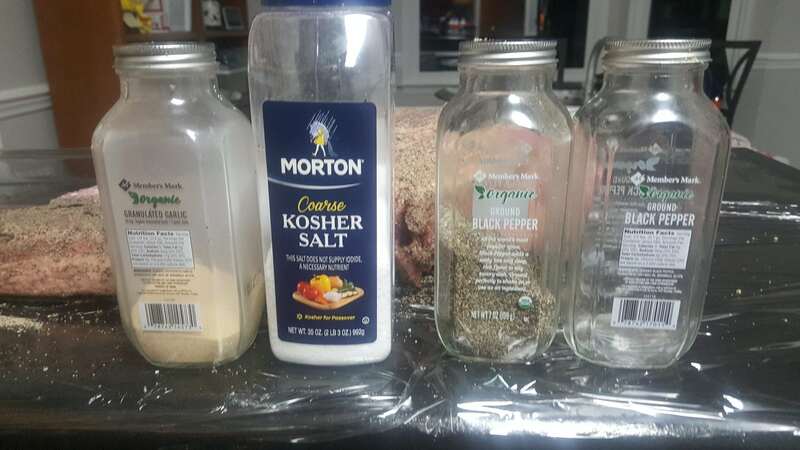 I’m doing a dry rub that consists of kosher salt black pepper and garlic. 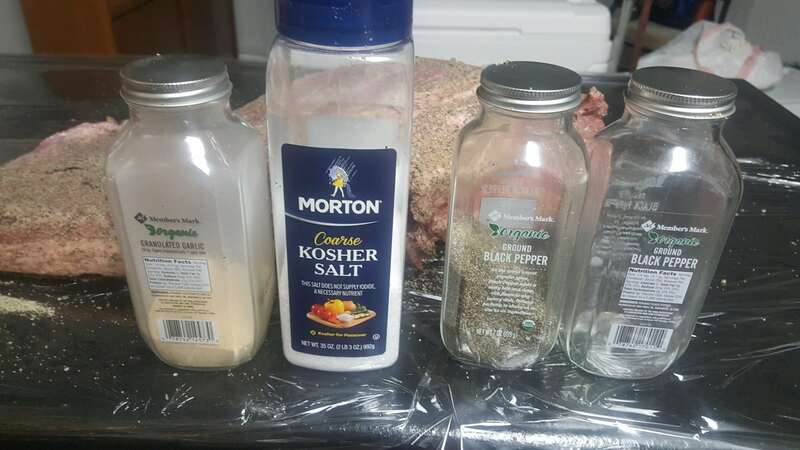 It is a simple rib but the beef flavor is going to come through with just a little bit of seasoning. I am going to put these in my smoker tomorrow morning. The smoking process will take about 12 to 19 hours.